Lethal Weapon is one of the most revered Buddy Cop franchises of all time. 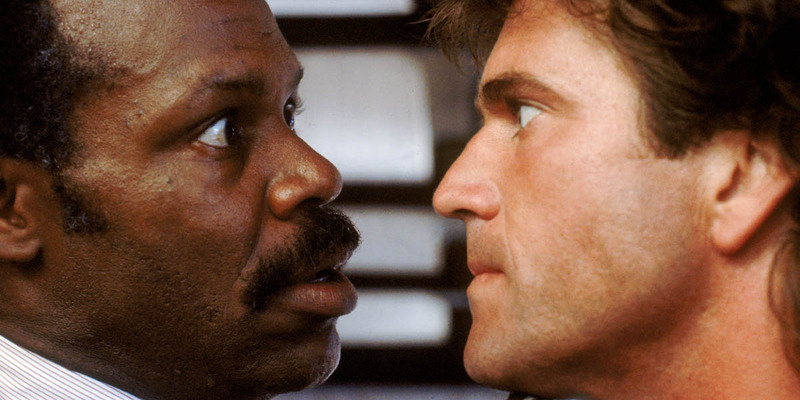 Danny Glover and Mel Gibson are perfectly paired as the two baddest detectives in Los Angeles, and their palpable chemistry led to one of the most enduring on-screen partnerships of the 20th century. The four Lethal Weapon films were all directed by the great Richard Donner (Superman: The Movie) and went on to gross nearly $1 billion worldwide and inspired countless imitators with their unique blend of wacky comedy, thrilling action, and complex drama. After the franchise definitively concluded with the fitting sendoff that was 1998's Lethal Weapon 4, the series was laid to rest. However, this being the 21st century, it was only a matter of time before the remake train tried to pick up Riggs and Murtaugh. 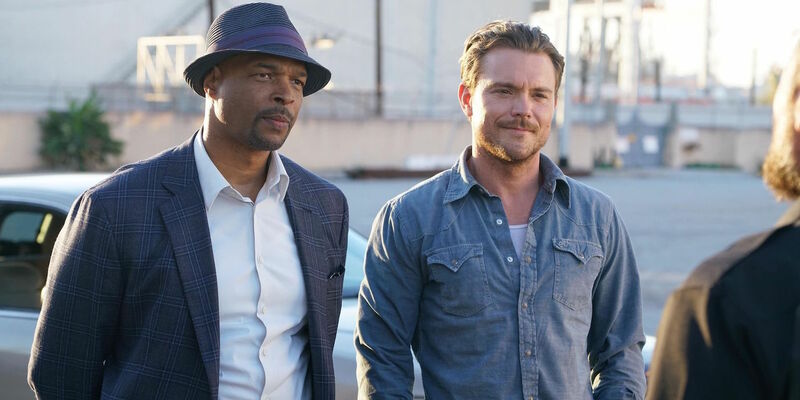 Rather than a big-screen, cinematic reboot, Lethal Weapon is being reimagined as a television series, starring Clayne Crawford as Riggs, and Damon Wayans, Sr. as Murtaugh. To say we're skeptical would be an understatement, but the trailer for the series inspires some hope... Or is at least not as bad as we were expecting. We love Lethal Weapon, and we want the series to be great, so we put together a list of ideas to make the show survive the scrutiny of fans and viewers. Here are 10 Things We Want To See In The Lethal Weapon TV Series. Lethal Weapon is an action movie about cops. We would like for the show to maintain that same momentum. 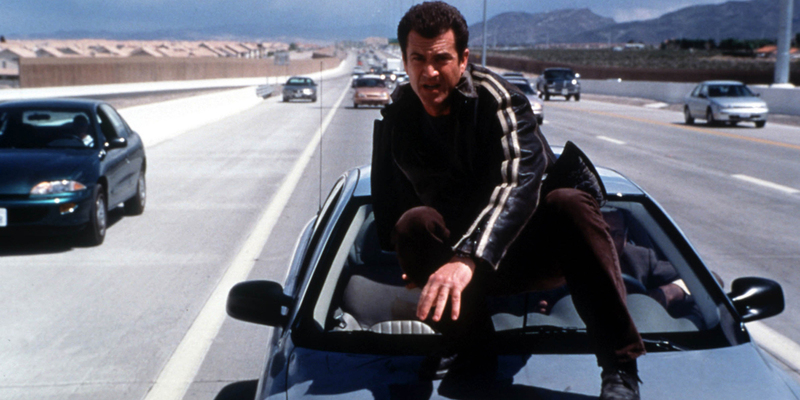 We're realistic, we understand the limits of a television budget; we don't expect action setpieces on par with Lethal Weapon 4's unparalleled freeway car chase or the original's desert showdown, but we want to see an effort made to keep the show kinetic and fast-paced in an old-fashioned, action/adventure kind of way. The first trailer for the show, released during Fox's upfront presentation last week, showcased a handful of impressive action sequences, including Riggs riding on the outside of a car before jumping to another vehicle and disabling it. If the show can keep delivering exciting action beats like this week after week, viewers will stick around to see what's next. It's a tough status quo to maintain, but if Fox has the audacity to adapt Lethal Weapon to begin with, then they'd better have the fortitude to follow-through and make sure it's everything the fans expect it to be. In the movies, Riggs and Murtaugh are both veterans of the Vietnam War. This being 2016, we don't expect that particular misadventure to play a part in the story, but we feel it's important for our leads to have a similar kind of "edge" to them. Riggs, in particular, begins the first film in a very dark and desolate place, and nearly commits suicide, in private and in public, multiple times. Having lost his wife in a tragic accident (or was it? ), Riggs sees himself as a man with nothing to lose, and he is eventually adopted by Murtaugh's family and given a reason to live again, slowly putting his life back together over the course of the series. It's not entirely dissimilar to an R-rated version of Diff'rent Strokes. This arc for Riggs could be great material for a television series, but only if the TV version of the character, played by Clayne Crawford (Graceland, Justified), begins in the same broken state as Mel Gibson did in the original. Another thing we're skeptical of is Damon Wayans Sr.'s chops as a dramatic actor. He's had his fair share of beefy roles, such as in The Last Boy Scout (written by Shane Black, the creator of Lethal Weapon), but it will take a scene of Murtaugh talking Riggs down from one of his psychopathic suicidal rages to convince us that Crawford and Wayans can be even a fraction as memorable as Gibson and Glover in the original. Starting with Lethal Weapon 2, the films began to incorporate a lot more comedy, particularly within the first half, before the drama and thriller elements took over. 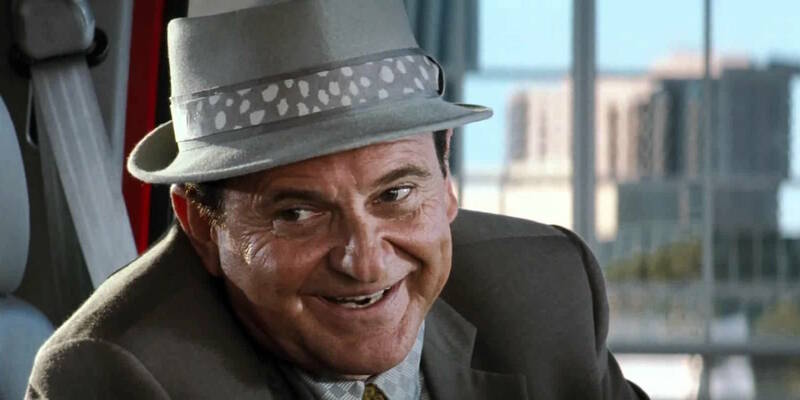 Leo Getz, played by Joe Pesci, was introduced in Lethal Weapon 2. Coincidence? We think not. Leo Getz is a sleazy, cheating, and obnoxious, yet endearingly lovable character. Riggs and Murtaugh are first assigned to protect him from assassins while he prepares to testify as a witness, but he reappears in subsequent films as a real estate agent and a private detective. He's a joy to have around, and Riggs and Murtaugh take great pleasure in mercilessly tormenting him at every opportunity. Leo's role in the television series shouldn't become prominent until Riggs and Murtaugh already become friends, as his purpose in the films was to provide a new twist to their partnership, which, by that point, had become much more amicable than the more volatile relationship of the first film. If and when he does show up, our first choice for the role is Adam Pally from Happy Endings, who is also starring in the 2017 midseason Fox comedy, Making History, which looks hilarious. The Lethal Weapon movies are iconic, and it would be a dumb move to attempt to replicate the plots of the films, as tempting as it may seem. As a television show, Lethal Weapon should try to introduce new villains and new conflicts for our heroic cops to fight and overcome. After all, there are four films, all of which the average Lethal Weapon viewer has probably seen multiple times. 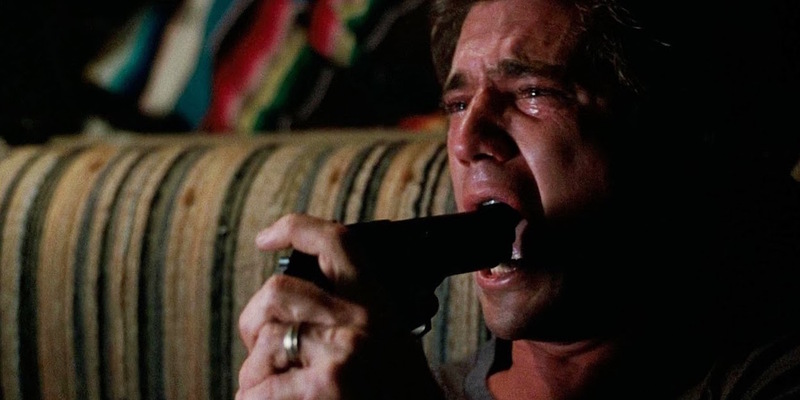 When given the choice to watch either a blockbuster Hollywood movie starring Mel Gibson and Danny Glover or an episode of a television series with a fraction of the budget and less recognizable actors, but telling the exact same story, then what purpose does the television series even serve? If the Lethal Weapon series wants to be successful, it should give a wide berth to the main hooks of the films. Don't write stand-alone episodes based on Diplomatic Immunity (Lethal Weapon 2) or Special Forces Operators turned drug dealers (the first film). If anything, give these potential storylines multi-episode arcs so they can be as big as they deserve to be, and not fodder for the non-sweeps throwaway entries. These stories can work on TV, but only if they get the love and respect they deserve, and aren't just presented as empty fan service. Obviously, we don't expect Shane Black to write an episode of the Lethal Weapon show; for one thing, he's a big time Hollywood director now, and for another, he'd probably kill the entire cast within the first five minutes of his episode. Black is most likely out of the question, but subsequent films were written by a variety of talent, several of whom have experience in television. We wouldn't put it past the Lethal Weapon creative team to reach out and try to get input from some of the people who wrote Riggs and Murtaugh's big screen adventures. The late Jeffrey Boam (2 and 3) had written a script for Lethal Weapon 4, about white trash Neo-Nazis, which ultimately went unused. Why not adapt that for the show? A lot of writers have left their stamp on Lethal Weapon over the years. Why not give them another crack at it, this time in the realm of television? It would earn goodwill to have members of the original production team play roles in the new series, and it would also, hopefully, keep the tone of the series more in line with the films from which it spawned. 5 Don't Say "I'm Too Old For This Crap"
Every Lethal Weapon film is R-rated. Like, seriously R-rated. Like "stab Jet Li through the abdomen with a rusty metal pole and then use it to lift him into the air" R-rated. There's bloody violence, explicit sexuality, and salty language abound, most notably in Roger Murtaugh's catchphrase, "I'm too old for this s**t," sometimes spoken as "I'm getting too old for this s**t," and turned into a chant in part 4, in which Riggs joins him in a rallying cry of "We're not too old for this s**t!" The only problem with Murtaugh's signature line, however, is that it can't be uttered on most networks. Think of the children! Indeed, when Danny Glover made a guest appearance on the cult sitcom, My Name is Earl, the legendary piece of dialogue had to be sanitized to, "I'm getting too old for this crap." If they can't do it right, just don't do it at all. The quickest solution, and the one which is most likely to occur in the show, is for Wayans to say the first part of the line, and then be cut off by a sudden barrage of gunfire, or a nearby explosion, or something of that nature. A more difficult and unlikely approach would be to try giving Damon Wayans Sr.'s version of Murtaugh a new thing to say. 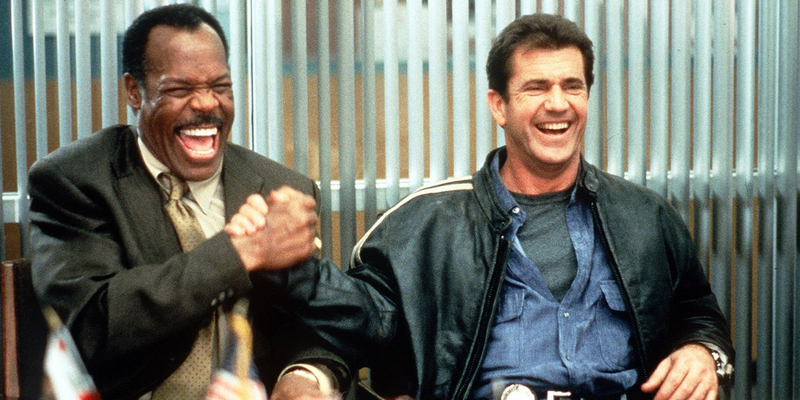 We're not holding out hope that Lethal Weapon will possess any legitimate originality, but we'd like to think the writers can come up with some snappy one-liners for Riggs and Murtaugh to quip following the conclusion of a gun fight or car chase. We know they're going to cover the events of the films eventually, and we've already covered how the show can switch things up, but when it comes to characterization and other storytelling elements, we, the audience, want to be surprised with twists on what we already know. 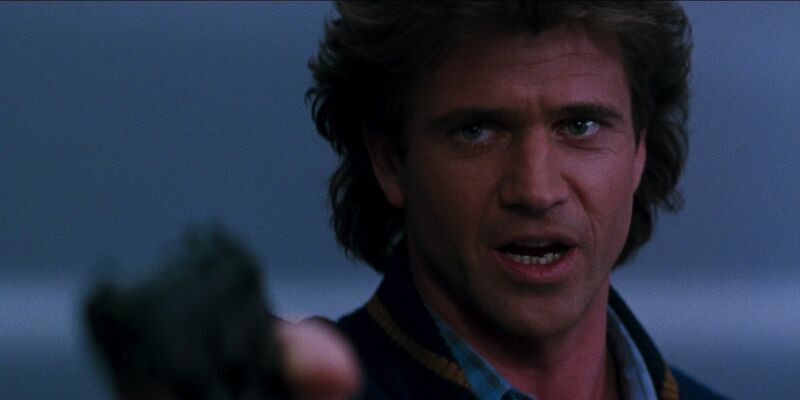 In Lethal Weapon 2, it is revealed that South African drug traffickers had orchestrated the death of Riggs's wife; he was getting too close, and in an attempt on his life, they killed his wife instead, and made it look like an accident. 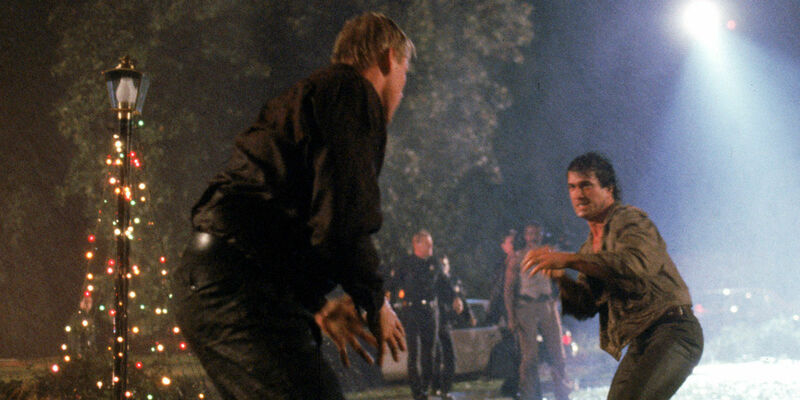 Eventually, Riggs engages the assassin, Pieter Vorstedt (Derrick O'Connor) in one of the most brutal and emotionally visceral hand-to-hand battles of the 1980s. We fully anticipate that the death of Riggs's wife in the series will similarly be revealed to have been murder, and that the revelation will drive a recovering Riggs into a spiral of revenge. Being on television, the possibility of Riggs slowly picking up the pieces of his life before having it completely broken down again could be a truly spectacular story to tell, but it will be up to the writers to take such risks with these characters, to be willing to put them through hell so they may emerge, changed, on the other side. Let's travel back in time to one of our favorite pilots: Hawaii Five-0. Directed by Len Wiseman (Live Free or Die Hard, Underworld), the pilot for the remake of Hawaii-Five-O is an awesome action/adventure romp with some downright killer stuntwork and breathtaking shootouts. Unfortunately, after a few episodes, the series became just another stock CBS procedural, where the cops spent their time looking at pictures of fingerprints and analyzing DNA instead of being out in the field, chasing perps and cracking skulls. Lethal Weapon should stay away from the CSI school of crime-fighting, and instead look to the past, to shows like Miami Vice, Hill Street Blues, and NYPD Blue, where the cops checked in at the precinct from time to time, but spent most of the episode out in the field, doing old-fashioned hard-boiled police work and trading bullets with the bad guys. Fox shouldn't treat Lethal Weapon as a "modern cop show," but as an action/drama which just happens to feature cops as its central characters. 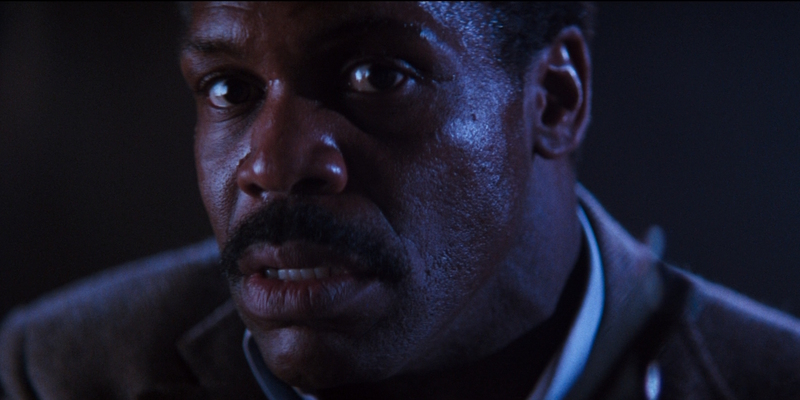 On paper, Murtaugh is a boring guy. He's a family man with a nice house who is stable and in control of his life. However, he quickly loses his cool and turns into a righteous spirit of vengeance when his family is threatened. Whenever his family is put in danger, and that includes Riggs, Murtaugh becomes a tough "papa bear" figure who will stop at nothing to protect what's his. Our biggest fear with regards to Murtaugh's dramatic potential in the show is: does Damon Wayans Sr. even have a bad side? He's just so adorable and relaxed, we're not sure what would happen if his daughter gets kidnapped. We want to see our favorite Wayans display some serious dramatic range, but it will be up to the show to offer him the opportunity to prove himself as a serious actor. We can't do enough to stress this final, and most important, point. Rush Hour was a terrible show. Its leads lacked the chemistry of Jackie Chan and Chris Tucker, its action was a far cry from the jolly popcorn antics of the Brett Ratner films, and the production values were practically non-existent. Why make a martial arts show with no martial artists? Seriously, Bill Lawrence (Cougar Town, Scrubs) produced this? Bizarre! In the late 90s, Marshall Law, with Sammo Hung and Arsenio Hall, ran for 2 seasons and was superior to Rush Hour in every way. 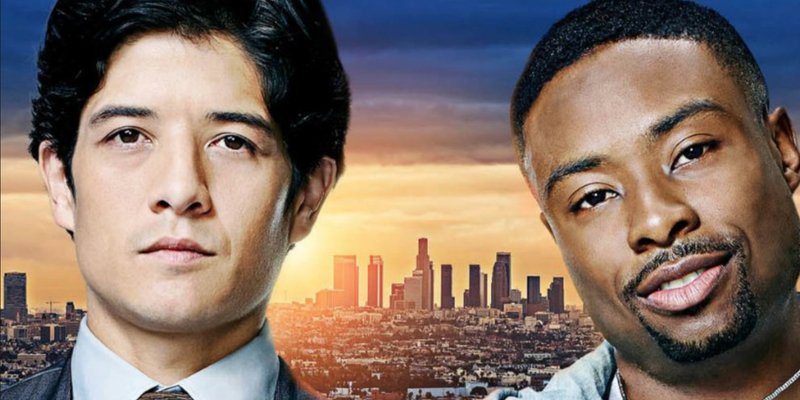 We're never happy when a show is cancelled, and we hope that everyone who lost their job as a result is able to swiftly find new employment, but we can't deny that Rush Hour didn't deserve its ultimate fate. But back to Lethal Weapon. With Rush Hour officially cancelled as of May 16th, it may serve as a cautionary tale for everything the Lethal Weapon series needs to avoid if it wants to succeed. Attention, Lethal Weapon producers, if you take nothing else from this list, please just remember: don't be Rush Hour. There you have it. Are you excited for Lethal Weapon? Or rather, are you cautiously optimistic? Remember, it could be worse; it could be a film reboot. We should be thanking our lucky stars that's not the case. Anyway, what would you like to see in the new Lethal Weapon show? Sound off in the comments below!